Magic: The Gathering is a card game, but the storytelling and worldbuilding that goes into informing those cards is basically unmatched across the world of games. They announced this week that the game is going back to the world of Ravnica, and it took me down a nostalgia hole. Each plane of Magic (think “world”) comes with a whole host of flavors and mechanics associated with them. Zendikar is all about roiling, living land. Kaladesh is chock full of artifacts and inventors. Theros is overrun with gods and mythic heroes. This week, Wizards of the Coast announced that we’re returning to Ravnica, the City of Guilds, in this fall’s Magic set, and it got me thinking about how much of my enjoyment of a Magic release comes down to what plane it takes place in. Concept art of an autumnal Ravnica. Ravnica holds a special place in my heart. The first set that took place on the plane of Ravnica was released all the way back in 2005. From the perspective of the health of Magic, it was a rough time. 2003’s Mirrodin set had been plagued with card bannings that turned many people off of the game, and the following year’s Kamigawa further alienated many players with confusing mechanics and cards. As a set, Ravnica was an escape from economic peril for Magic. For me, though, it was an introduction to everything cool that Magic does. I began playing the game in 2006, and Ravnica was a huge part of what made me interested in learning the labyrinthine rules of the tabletop card game. Concept art from the new set that takes place on Ravnica. 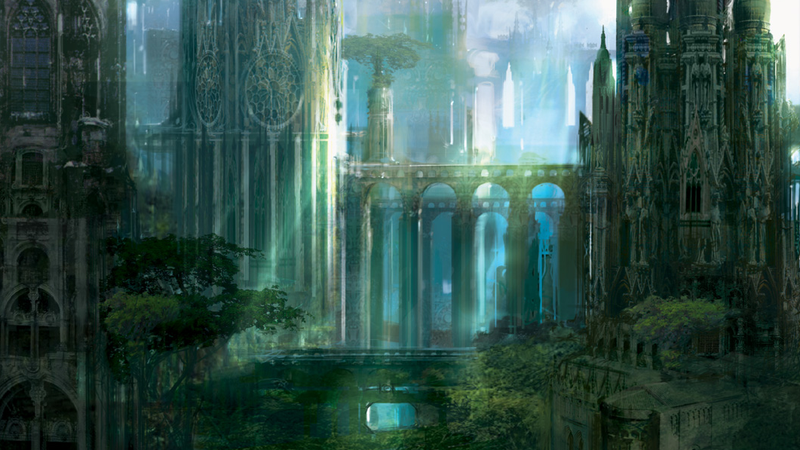 Ravnica is a plane covered by a massive city that stretches eternally in all directions. There are no edges and nowhere to expand. Instead of growth, there is a churning and changing urban landscape in which several different interest groups compete for power. These groups, called guilds, define the landscape and structure of life within Ravnica, and each has a particular function in the city that relates to their color pairing in Magic’s card game. A Boros legionnaire from the original Ravnica set. This is the true stroke of brilliance when it comes to Ravnica from both a worldbuilding and gameplay perspective. The Boros Legion, for example, is the guild associated with the color combination of red and white. Red is the color of rage and passion, and white is the color of order and defense. Therefore, within the world of Ravnica, The Boros Legion is dedicated to harmonious and ordered living, which they will happily pursue and create with violence. Ravnica’s big move was to create color pairs, figure out what those pairs felt like, and then to create a world in which those different perspectives could live in contest with one another. It meant that players could identify with a guild. It gave all of the gameplay and storytelling something to hang on together. It also gave a name to all of these tendencies that had already existed in the game for more than a decade, and today when you say “Dimir,” an enfranchised player is going to know that you mean a combination of blue and black cards. That tandem execution made that original Ravnica set a powerful recruiting tool for the game (it got me invested), and 2012’s Return to Ravnica set doubled down on storytelling, smashing some guilds and creating new ones, and it wasn’t quite enough to pull me back into the game during an extended break that I took. The Simic guild is focused on evolution, change, and self-augmentation. In the announcement for this fall’s set, Wizards of the Coast suggested that we are in for the classic Ravnica feel. The first two sets, Guilds of Ravnica (October 5, 2018) and Ravnica Allegiance (January 2019), are going to be taking us through five of the classic guilds each before an unannounced set, still set on the same plane, that has some kind of big storytelling event for Magic. It’s those classic color pairings that have me excited, though. There’s an air of Classic Magic about the whole design, and I’m deeply interested in knowing if I can go back to those early moments of becoming so enthralled with the game. And, hopefully, new players get captured by the same feelings that grabbed me more than a decade ago.